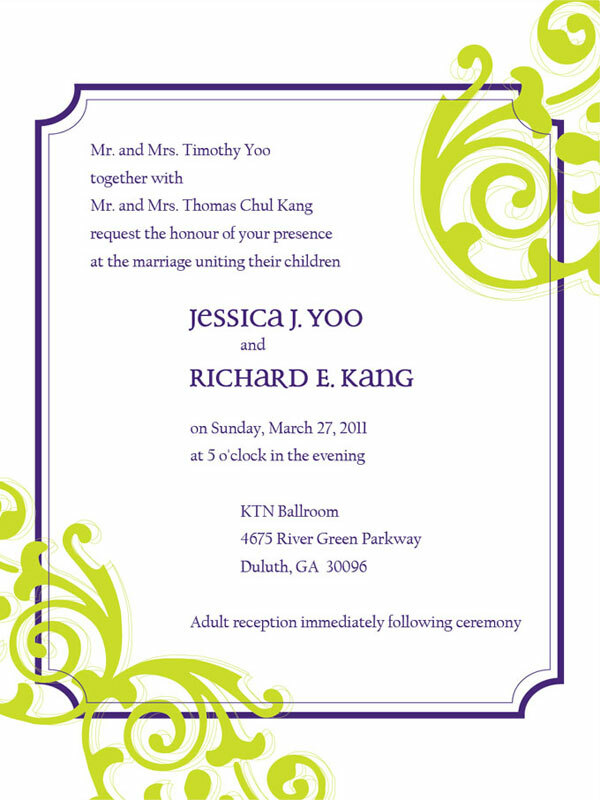 Custom wedding invitations in the theme colors purple and lime green. 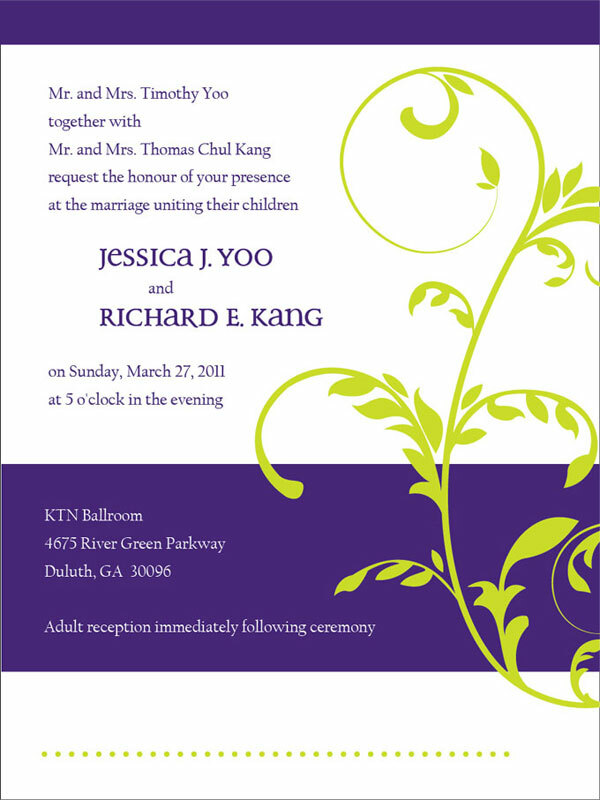 Design wedding invitations and RSVP cards for a purple & lime green themed celebration. 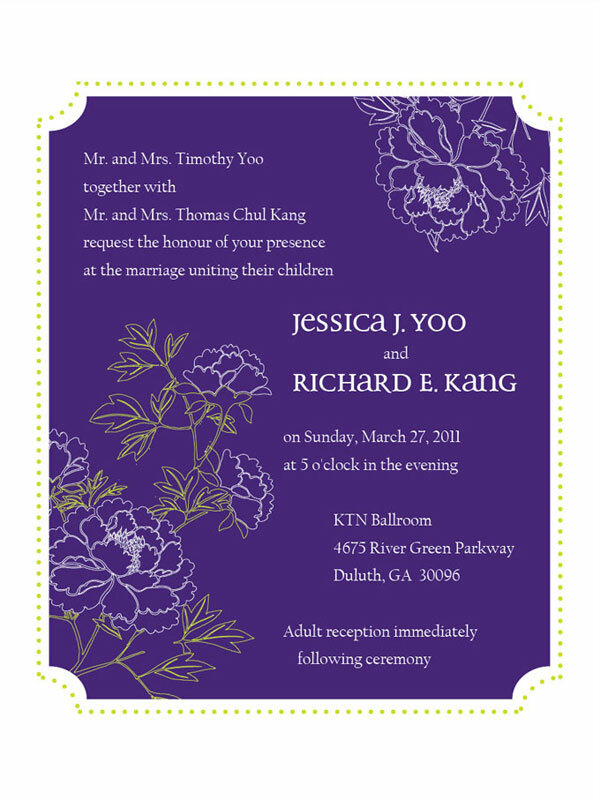 Created a series of designs to fit the modern and elegant vibe of the wedding.